Building on the momentum garnered through its recent year-long quasquicentennial anniversary celebration, today Belmont University launched its largest, most extensive fundraising campaign in the institution’s 125-year history. 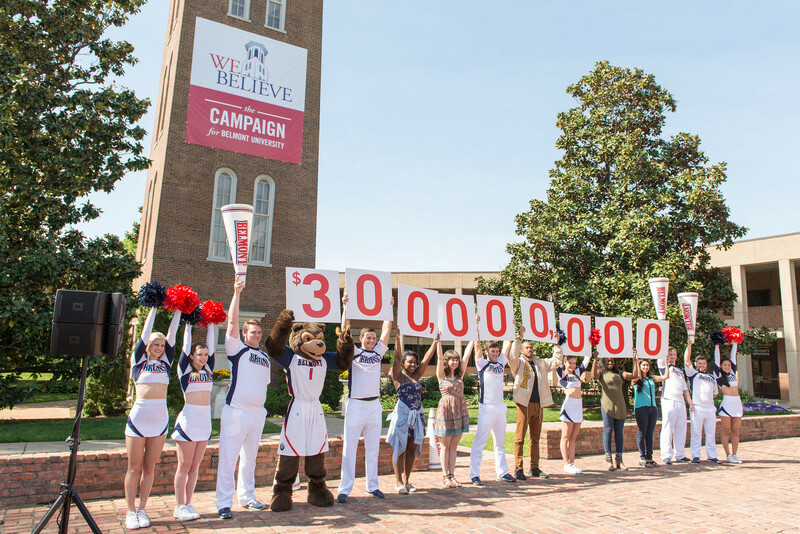 Centered on the theme “We Believe” and intended to raise $300 million, the campaign focuses attention on five areas that are key to the University’s Vision 2020 strategic priorities, including scholarships, faculty support and missions. more than $56 million already given toward the goal. In addition, thanks to a long history of strong financial management and diligent cost control, Belmont is now able to partner with its supporters to leverage their investments in the institution’s future. The University will match endowment contributions between $25,000 and $1.5 million ‘dollar for dollar,’ doubling the impact of each donor’s commitment. For more information on the campaign, giving priorities and ways to give, visit Belmont’s newly launched We Believe website.